EDDIE MUSTAFA MUHAMMAD: "ORTIZ IS GOING TO MAKE FLOYD FIGHT...HE'LL MAKE FLOYD COME WITH HIS A+ GAME"
"It means a great deal for boxing because Floyd is the #1 pound-for-pound best fighter in boxing today! 41 tried and 41 didn't make it and that speaks for itself. He's a great fighter and he's good for boxing. No matter what people say about him, he's good for boxing. He's going to go in there and sell out the MGM and put on a dazzling performance because Ortiz is going to make Floyd fight. Ortiz is no punk. He's going to come in off of the win over Andre Berto, take that into the ring, and he'll make Floyd come with his A+ game...I'm really looking forward to seeing the great Floyd Mayweather Jr. because he returns to the boxing world. It's been too long to let that greatness go to waste," stated world-class trainer Eddie Mustafa Muhammad as he shared his thoughts on a number of topics, including Mayweather vs. Ortiz, Zab Judah's recent performance, and much more. Check it out! PC: It's been a long time my man. How have you been? EMM: I've been real good. I'm just in the gym developing future champions, hoping that lil' fat promoters don't try to stir them to another trainer. PC: Is that something you have dealt with? EMM: Oh yeah, definitely. Boxing is a cutthroat business and it is what it is. It's corrupt, cutthroat, and little fat promoters make it like that. PC: You have been telling me about Badou Jack for a long time now. What is his story and his potential in your opinion? EMM: He is a Swedish fighter by way of Gambia. He is a pretty good prospect who comes to me with some tools I can build on. He has a good foundation and he showcased some of that on Friday Night Fights. I had him boxing with some good guys and he holds his own, so he's been doing real good. PC: You have known Zab Judah his entire life and even worked with him in the past. I thought Whitaker gave him some good advice, but it didn't appear that he could pull the trigger. What's next for Zab? EMM: Well, like you said, he just couldn't pull the trigger. I think Zab is gonna be fine. He just has to get back in there and prove the people wrong. That's all he has to do. When they say that you are through, that's when you turn it up another notch and prove that you are not through. PC: Floyd Mayweather is a guy you think highly of. He will be returning in September against Victor Ortiz. How do you like this matchup? EMM: It means a great deal for boxing because Floyd is the #1 pound-for-pound best fighter in boxing today! 41 tried and 41 didn't make it and that speaks for itself. He's a great fighter and he's good for boxing. No matter what people say about him, he's good for boxing. He's going to go in there and sell out the MGM and put on a dazzling performance because Ortiz is going to make Floyd fight. Ortiz is no punk. He's going to come in off of the win over Andre Berto, take that into the ring, and he'll make Floyd come with his A+ game. PC: Floyd's layoffs are starting to become common play for him. Is he such a different type of fighter and athlete to where it doesn't matter if he fights after a year-and-some-change layoff? EMM: Floyd can pull that off because Floyd is the type of guy who is a basketball freak. He plays basketball year round and that keeps him in shape. He doesn't go out, partying, drinking, smoking or drugging. He's a pure athlete, and there are a few pure athletes around the world and Floyd is what we call a pure athlete because he takes this game serious. He trains like no other guy that I have seen in my life, and I've been around for a long time. PC: I understand you bumped into an old friend, James Toney, and you guys went right after each other with jokes. EMM: (Laughing) it was good seeing James. It's always good seeing James. We reminisced about some old times. You know I can't call him fat no more because he's lost a lot of weight. He looks like he's lost about 35 to 40 pounds. The only way I recognized him is he still got that big head and he's still ugly. That's about the only way I recognized him. But he's looking good. That's another guy that is letting the people know that he's serious. By him taking off that weight, that's a step in the right direction to show people, "Look here, I dropped the weight, you can't call me fat no more," and he looks real good. PC: When I see people say James Toney is done, he needs to disappear, and this, that and the other, the question I pose is, who has beaten him up? He can't be more done than what Haye displayed and some of these other guys are displaying when they step up. EMM: Without a doubt. Listen, when James Toney fights, you're going to see a fight. No matter if he's done, he's going to give it his all. You have never seen James Toney in a bad fight where he's not throwing punches or he's running all over the place. That's not James Toney. He's a great fighter and he's going to the Hall of Fame without a doubt and it is what it is. What you see is what you get from James. No matter how out of shape he's looked in the past, he still gives it his all. PC: There were a ton of boxing legends at the Cosmo for the weigh-ins and the fights last week for Friday Night Fights; you, Roberto Duran, Mike Tyson and Leon Spinks. What is it like for you when you bump into some of those guys? EMM: Well, I've known Roberto Duran since 1971. We're like family and every time he sees me, I'm his black brother and he's my Panamanian brother. We go back a long way. I know his whole family. It's always great to see Roberto. When I went to Panama last year, he welcomed me to his country. It was a great situation and a great feeling to have a legend like Roberto welcome you to his country. As far as Mike Tyson, I have known him since he was a baby. We're from the same neighborhood in Brooklyn and it's always good to see Mike. As a matter of fact, we put a reality show together and it's going to be on this Sunday coming up with Mike. There is this big white guy with the same name Mike Tyson and he wants to be a boxer. It's going to be funny. It's got Hasim Rahman in it, it's got Zab Judah in it, and it was shot at The Hit Factory Gym where we all workout at. We shot a reality show over there. It's going to be good. The gym has been good, it's hopping with excitement and great fighters, and we just have a good time at that gym. PC: The owner of the Cosmo is a huge boxing fan. It has to be a good feeling to have someone invest in boxing that can provide another venue and outlet for more shows to showcase this young talent. EMM: That is correct. We need more venues and we need...what we really need is for network TV to come back into play. When I was fighting on ABC, CBS and NBC, that was the best time for this sport. We need a farming system. Those networks were my farming system coming up, and a lot of other guys farming system coming up, so we need those networks to get back into the boxing world because there are a lot of great up-and-coming boxers out there that need that exposure. If we get that, we'll be right back on track. PC: I don't know how well you knew Bouie Fisher, but I know you were always in Philadelphia, so I wanted to let you say any words about Bouie at this time. EMM: Every time I saw Bouie, we had a great relationship because he was a very knowledgeable person; very knowledgeable. I knew his whole family and he was very well-respected in the boxing game. We lost another great guy in Butch Lewis. Me and Butch had our arguments, but at the end of the day, we made up. Before I left the east coast to move out to Vegas, I saw Butch at the toll stop on the New Jersey turnpike and we stopped traffic, got out of our cars, and hugged each other. That right then and there let me know that we had let bygones be bygones and that's the way it was. 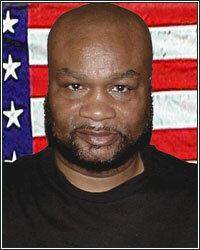 Butch was a very great promoter and one of the most savviest promoters that I have ever met. He was 100% for his fighters and it showed. He was a very smart business man and all of that showed and he was a great family man. PC: Butch was one of the first true characters in boxing. He brought something different to the table. EMM: Butch was a very unique individual, and I say unique with a capital U. he was very unique, but Butch was a good guy. At the end of the day, when you got to know Butch, he was a lot of fun. PC: Any fights coming up that you are anxious to check out my man? EMM: I'm really looking forward to seeing the great Floyd Mayweather Jr. because he returns to the boxing world. It's been too long to let that greatness go to waste. I'm looking forward to a great Floyd Mayweather comeback into the swing of things. PC: It's always great speaking to you; pleasure and honor. We won't let this much time pass again. Is there anything you want to say in closing? EMM: Percy, look here man, I respect you and I respect your website because you let us speak the truth without cutting it. You put it real cool, straight-up with no chaser and you bring it, and that's how we bring it. That's why I love to be on FightHype.